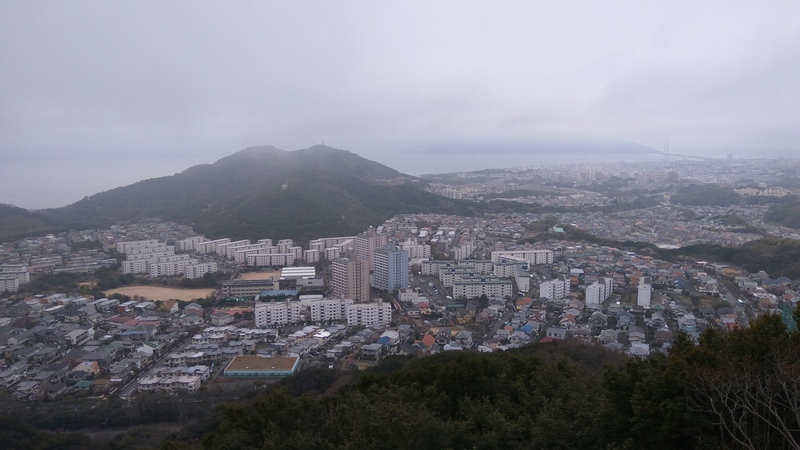 While on holidays in Japan, we spent a week in Kobe staying at my daughter’s house in Myohoji. After some emails with Toru, JH0CJH, I found that a few close by summits had been added to the SOTA database. These were Yokooyama JA/HG-255 and Takatoriyama JA/HG-252. 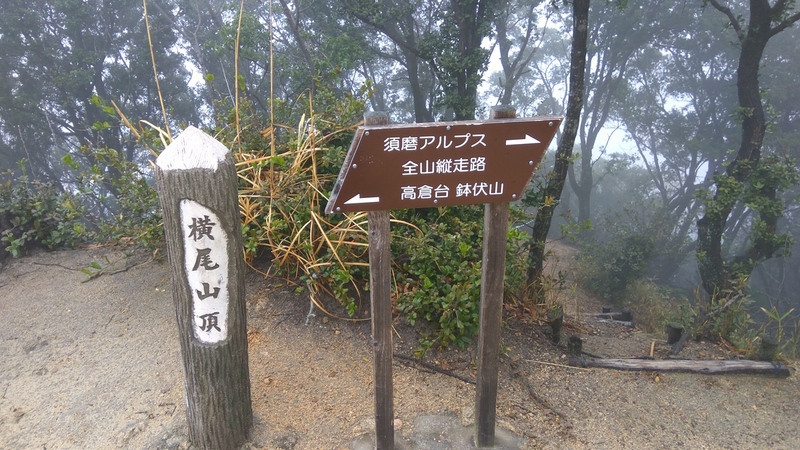 Despite predictions of rain for the day, I headed off early from Myohoji on foot for Yokooyama. The best route wasn’t too clear from the maps I had, but it did seem the approach was from the west side. For navigation, I used Maptrek for Android which was loaded with JA/HG summits as waypoints using Openstreetmaps. 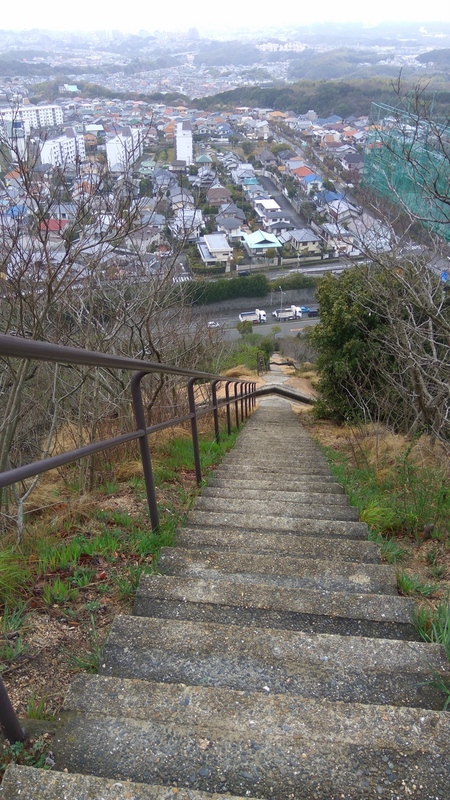 After a few km of roads, I came across a steep section of steps that looked like the right way to go. The weather held out on the walk and soon I was in fog with limited visibility. 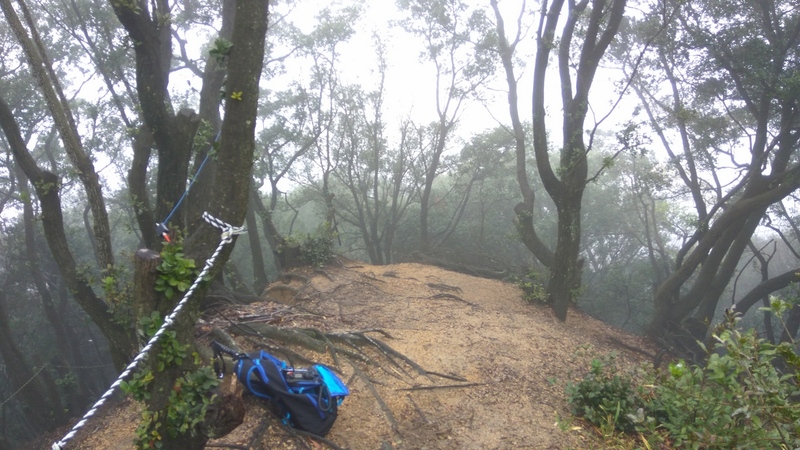 There were a few options of tracks, but Maptrek was showing that I was going in the right direction and after a few km, I arrived at the summit. 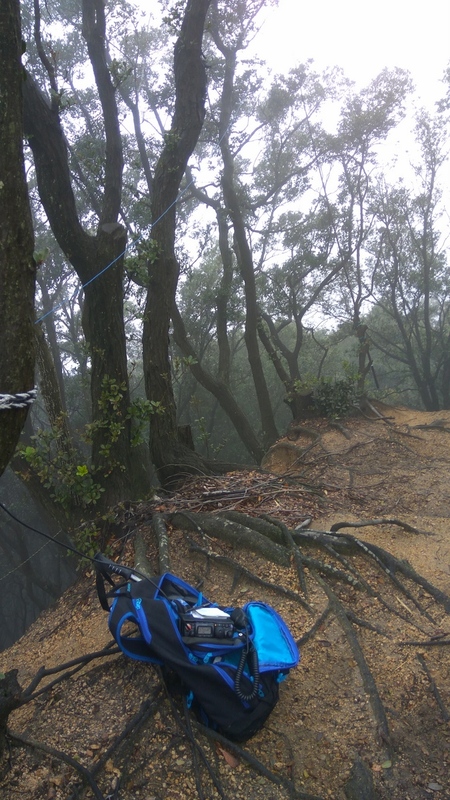 I had the summit to myself, which was great, so I put up the squidpole and bungied it to a tree. The 20/15/12/10 metre End Fed Half Wave was reeled out. When the rig was connected, there was a constant S5 noise level on 15 metres which was going to make things difficult. After a couple of calls as JP3PBQ, I worked ZL1BYZ which wasn’t too bad despite the noise levels. After John, I worked a few JA stations and qualified the summit. The fog still hadn’t lifted which was a shame as there would have been great views. On the return trip as the elevation dropped, the fog began to clear and reveal some nice scenery. The walk back was uneventful although I did leave my walking pole behind at a shelter at the bottom of the steps and had to retrace my steps to recover it. The predicted rain started to fall, lightly at first and then became quite heavy. By this time I was near a Lawson Konbini, so I sheltered there with something to eat for a while. 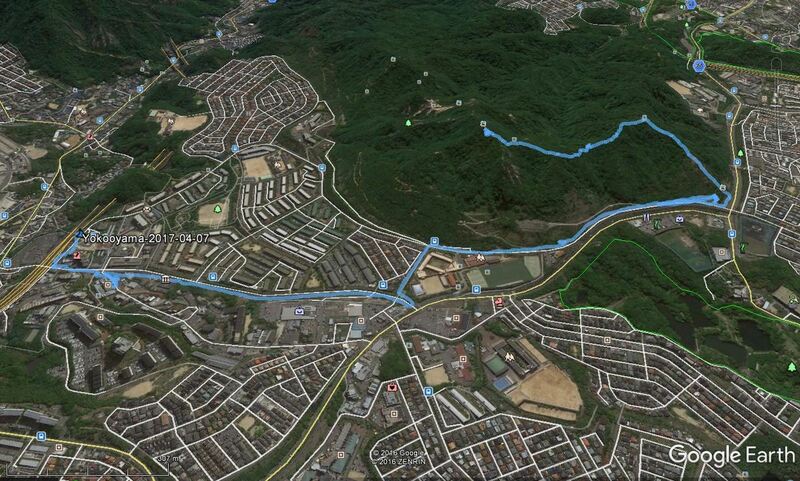 On the return trip, I recorded the walk with Maptrek and later overlaid the GPX over Google Earth. 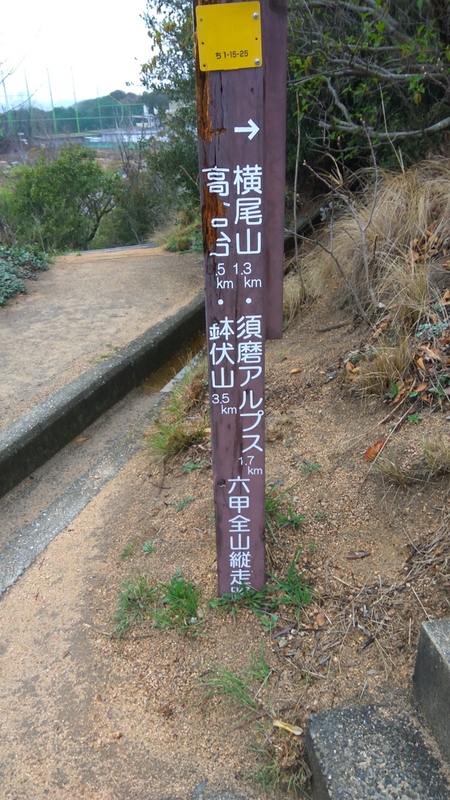 The plot shows the walk ending at Myohoji railway station.